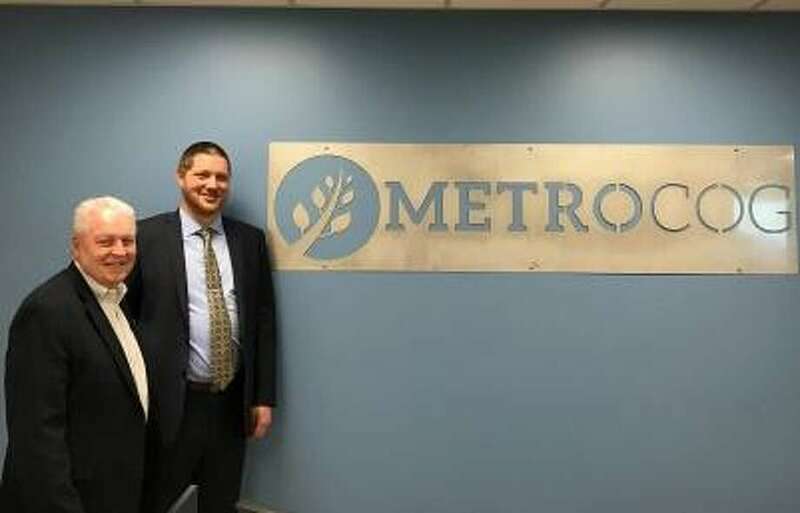 MetroCOG Chairman Mike Tetreau and MetroCOG Executive Director Matt Fulda at MetroCOG's offices in Bridgeport. First Selectman Mike Tetreau has been unanimously re-elected to serve another year-long term as Chairman of the Connecticut Metropolitan Council of Governments (MetroCOG). MetroCOG is a multi-discipline, regional planning organization with six member communities — Fairfield, Bridgeport, Easton, Trumbull, Monroe, and Stratford. The Chief Elected Official of each member municipality serves as part of the governing body of The Council. As one of nine planning regions in the state, MetroCOG is responsible for planning, project management, shared services and programs related to transportation, economic development, land use, housing, public facilities, open space, environment, and energy for the region. The Town of Fairfield has benefited from MetroCOG’s support, advocacy and assistance with funding on many important projects over the years. Recent examples include the Black Rock Turnpike Safety Study; pedestrian improvements to King Highway; partial or full bridge replacements; and resurfacing/safety improvements along the Merritt Parkway. Additionally, many town departments cross-reference key data and provide information to the public using a Geographic Information System (GIS), a mapping technology that allows interaction with a variety of maps and data sources. Fairfield’s GIS is provided by MetroCOG and funded through the State of Connecticut Office of Policy and Management. For more information on MetroCOG, please click here www.ctmetro.org.